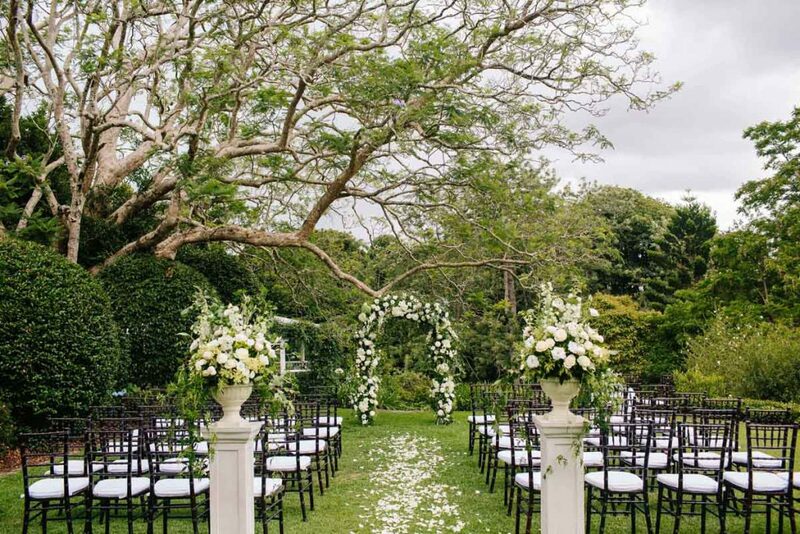 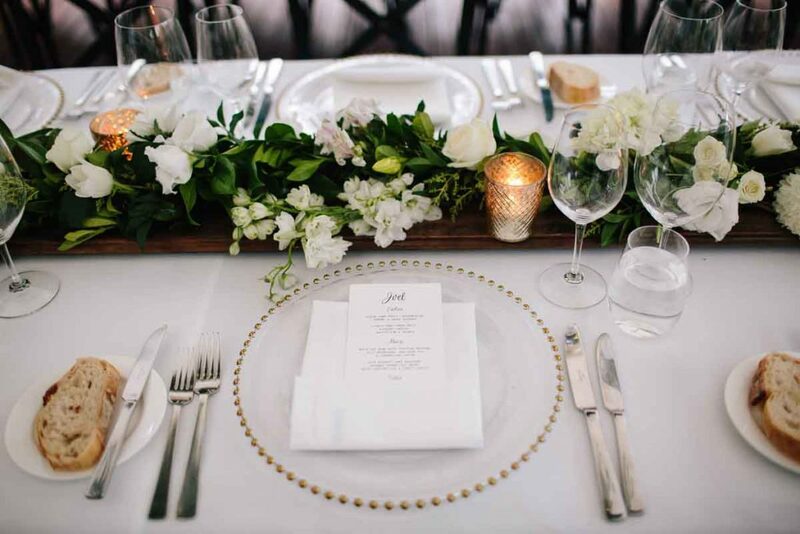 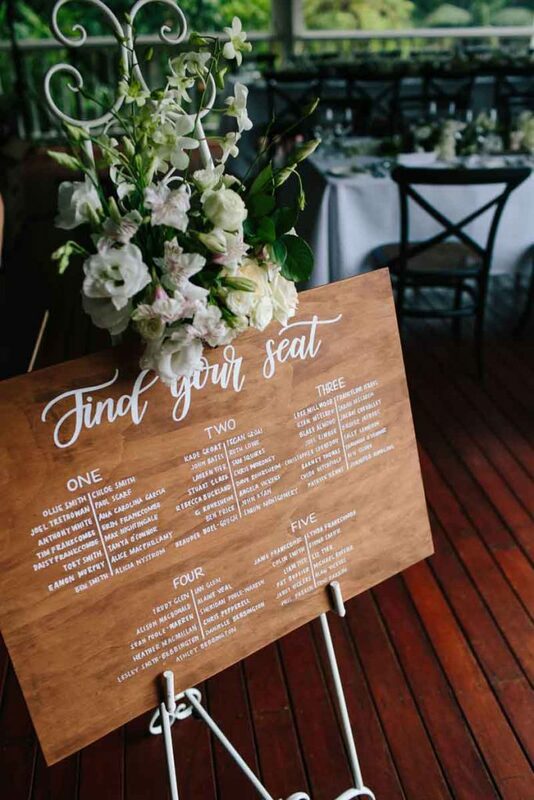 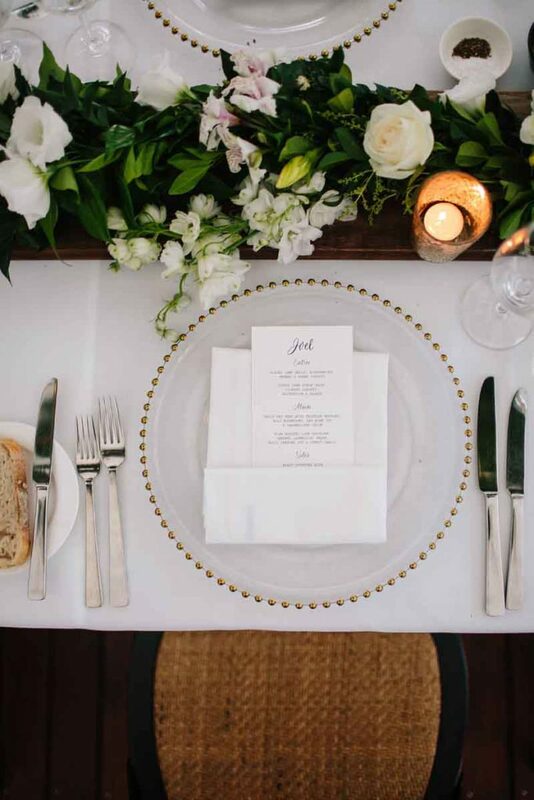 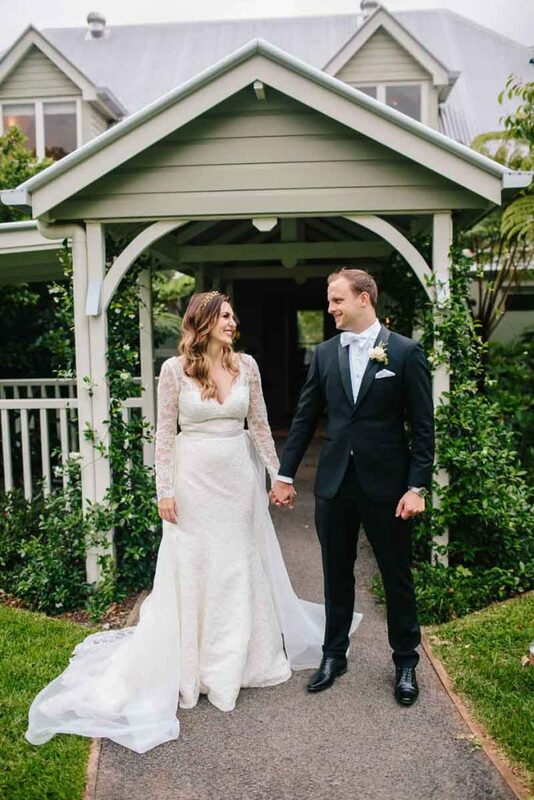 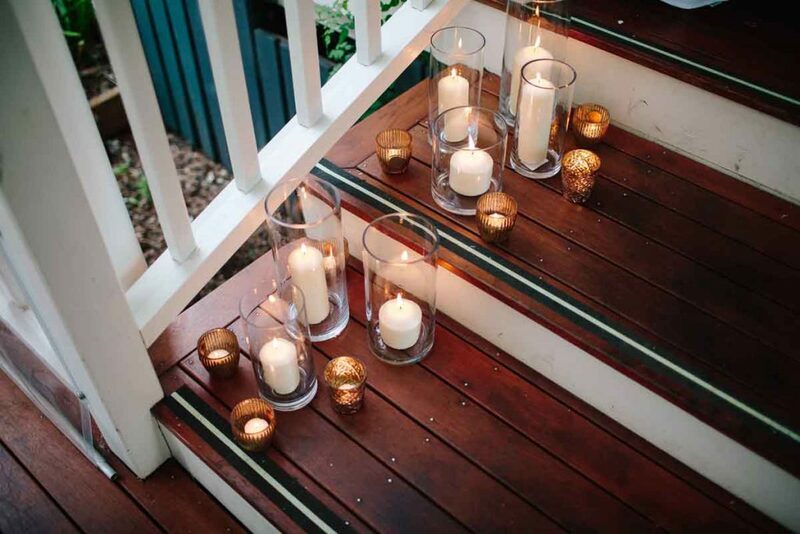 Luxurious, sophisticated, elegant and refined, this wedding at Spicer’s Clovelly Estate was one that we will never forget, no wonder it was featured on the Sunshine Coast most adored wedding blog, The Bride’s Tree online wedding magazine. 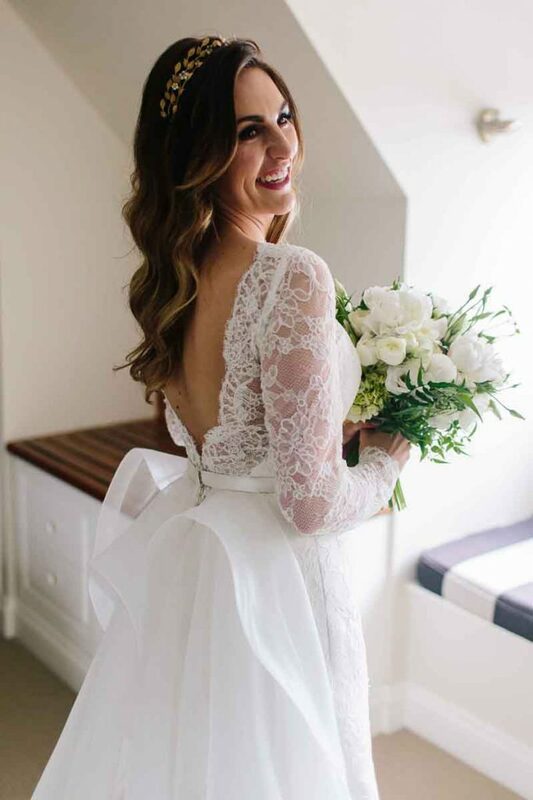 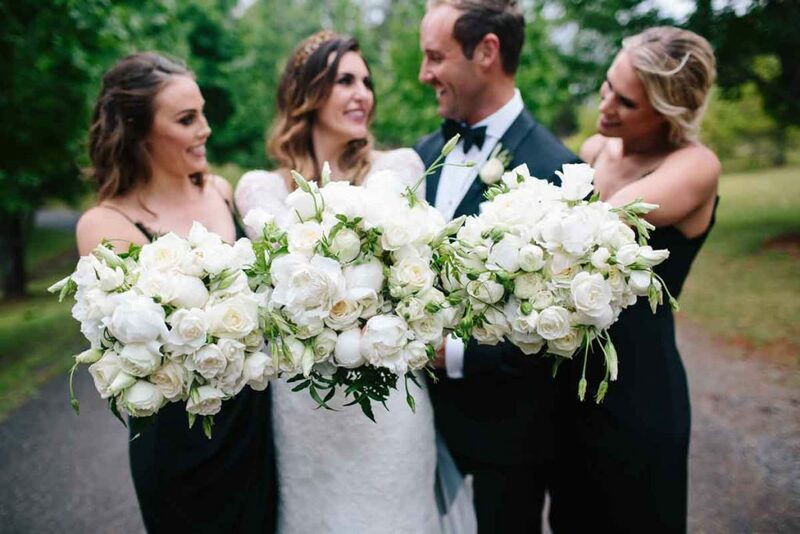 Chloe’s bouquet was simple, refined and classic and complimented her Karen Willis Holmes dress perfectly. 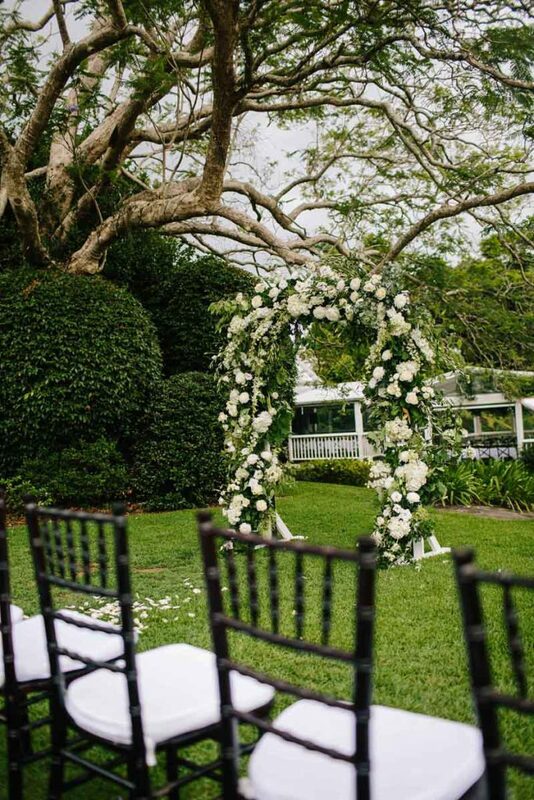 Comprising of the best quality flowers such as peonies, lisianthus, icebreaker roses, cottage roses and jasmine foliage, the fragrance was intoxicating. 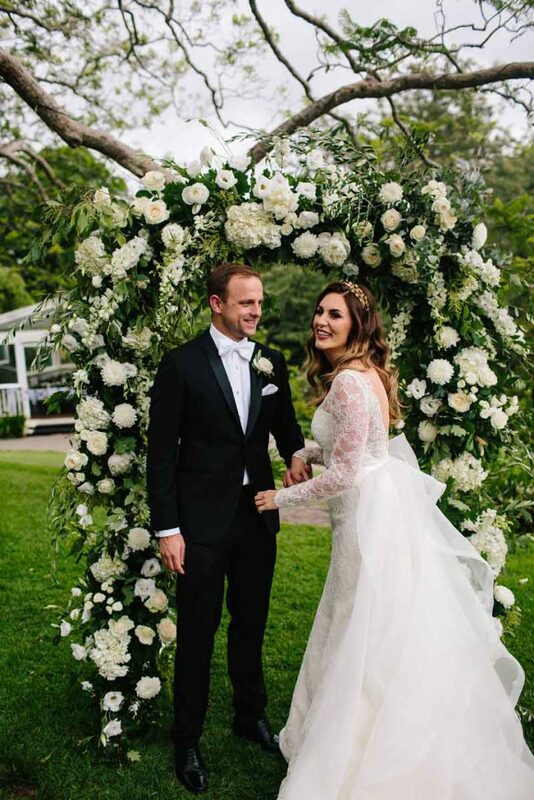 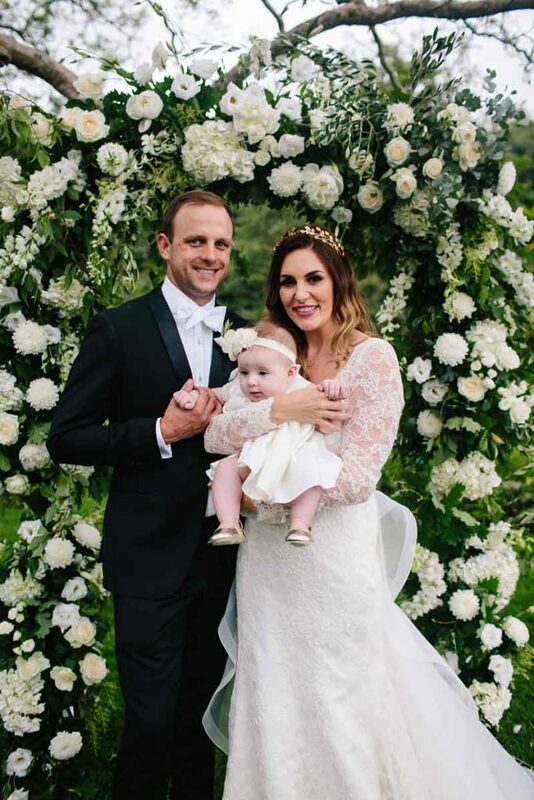 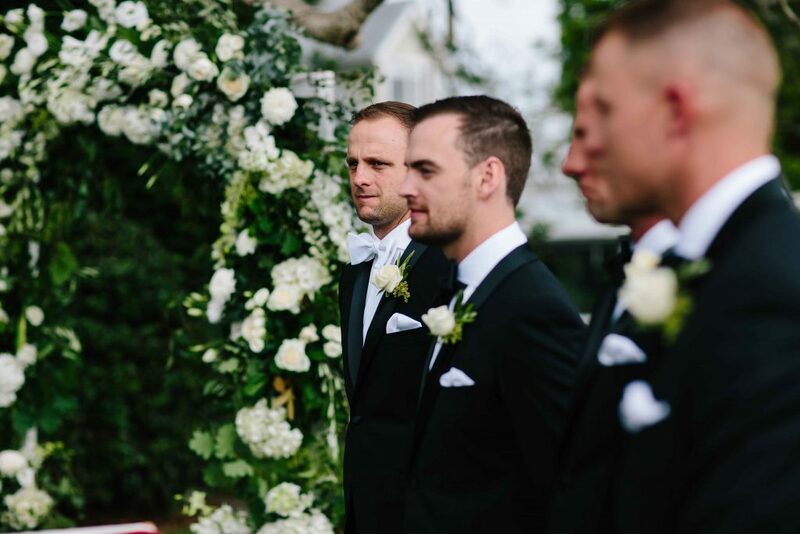 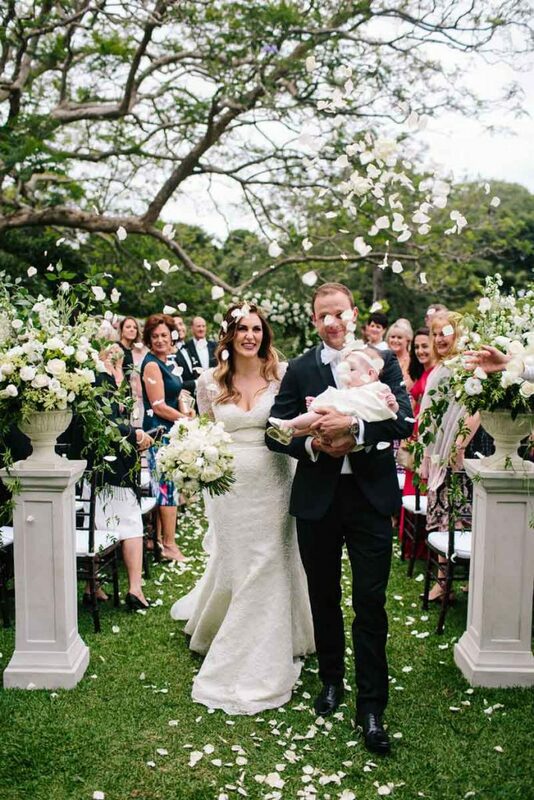 Luscious pure white blooms framed the loved-up couple at the lawns of Clovelly Estate where Suzanne Reily conducted a warm and sincere wedding ceremony. 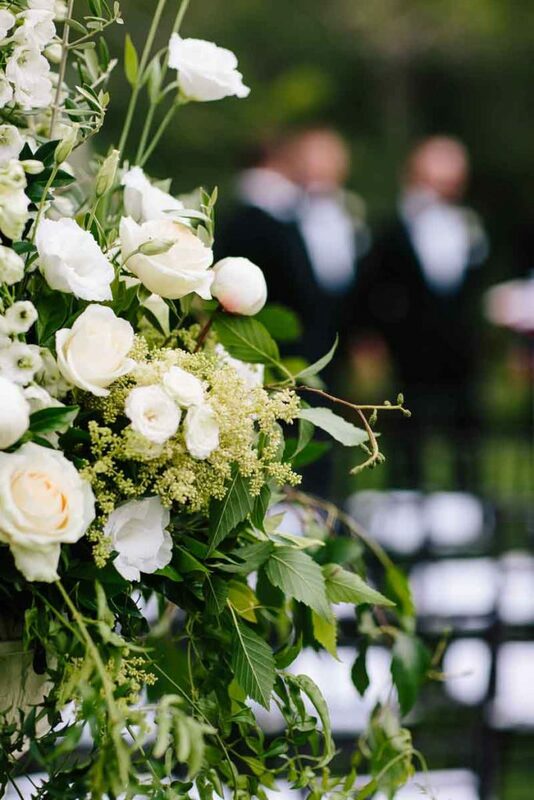 The oversized ceremony arbour oozed opulence and sophistication and was full of peonies, hydrangea, roses, lisianthus, orchids, disbuds and delphinium and had an airy garden picked feel to it reminiscent of Harry and Megans royal wedding. 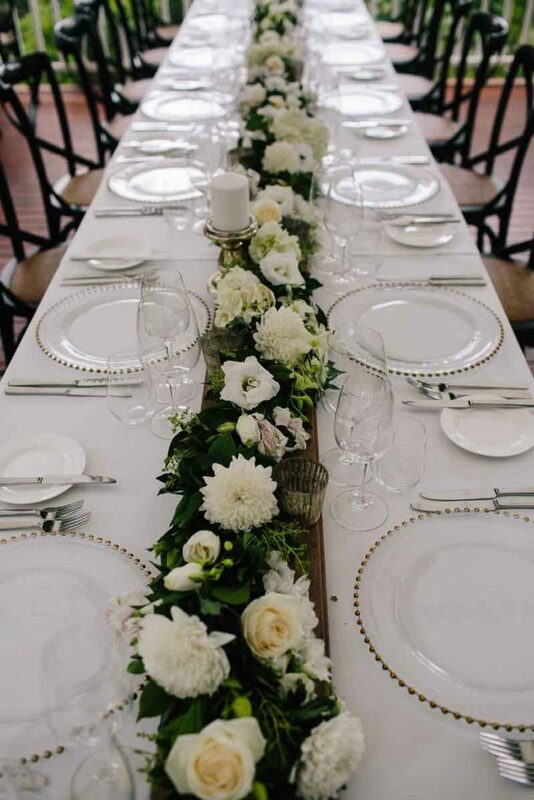 White rose petals framed the aisle and French Provincial style urn arrangements romantically styled welcomed guests to their seats. 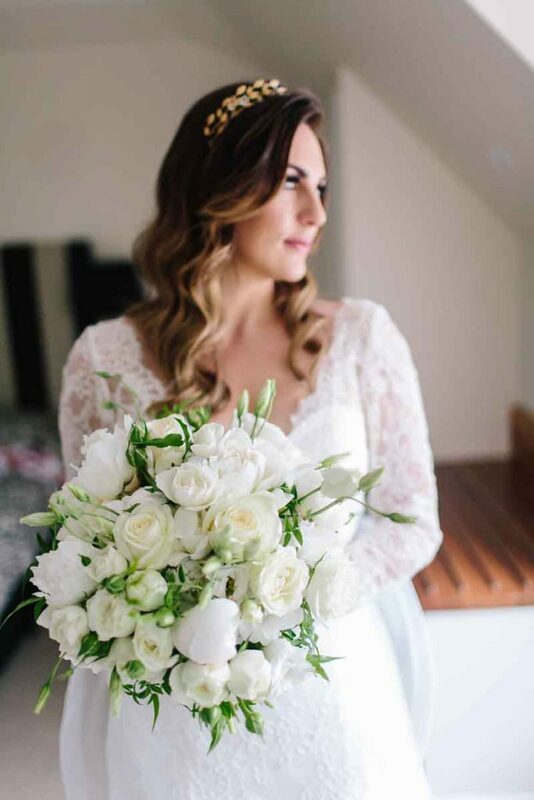 Our wedding flowers were perfection, thank you so much! 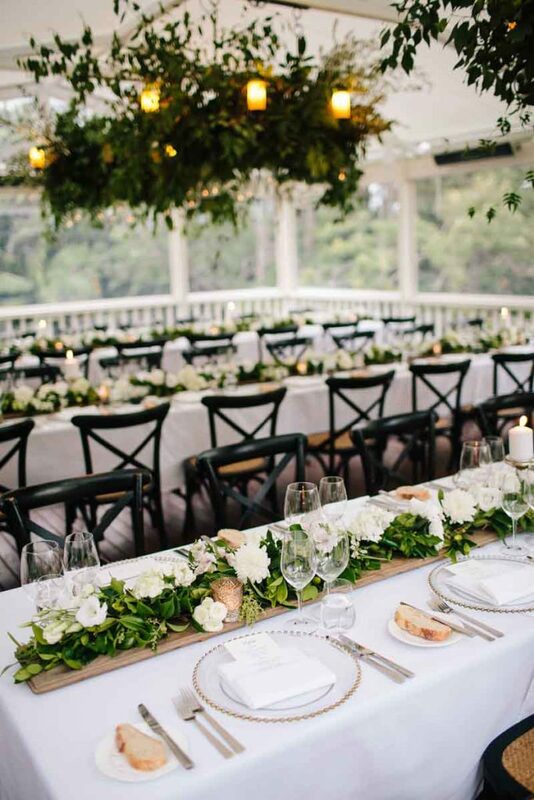 Bunching mixed foliage garlands generously flowed down the tables on rustic timber table runners for an extra layer of warmth. 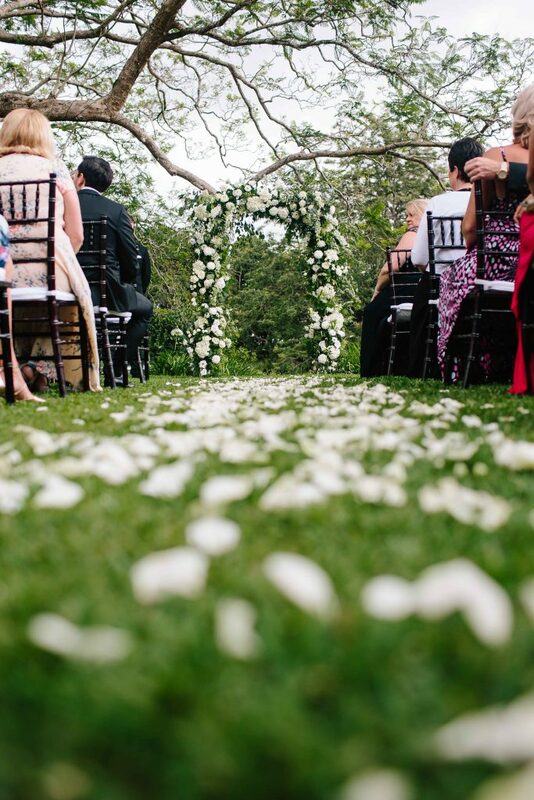 Flowers were woven throughout the garlands to add a feminine edge to the reception space. 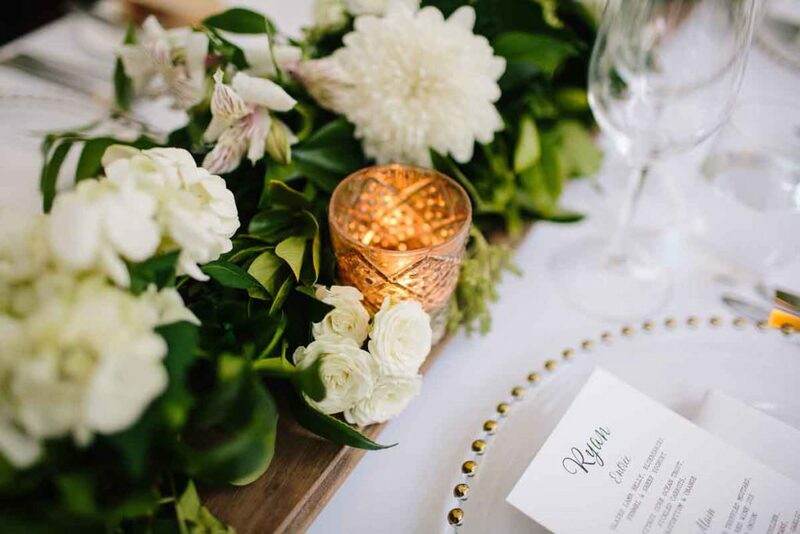 Soft gold mercury glass candle holders and brushed gold charger plates from Adron Event Hire added to the table settings. 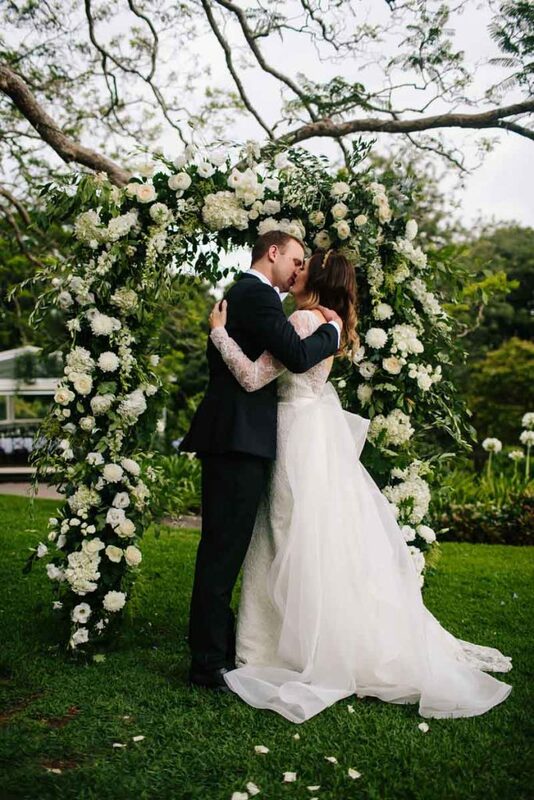 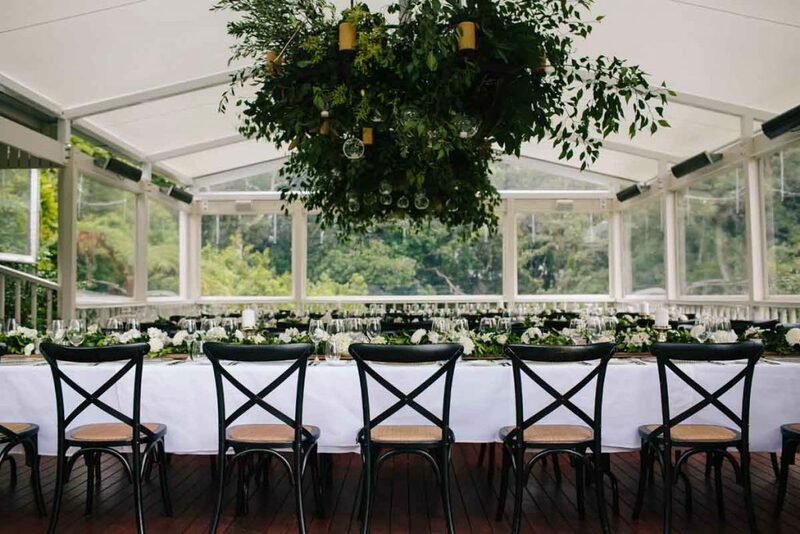 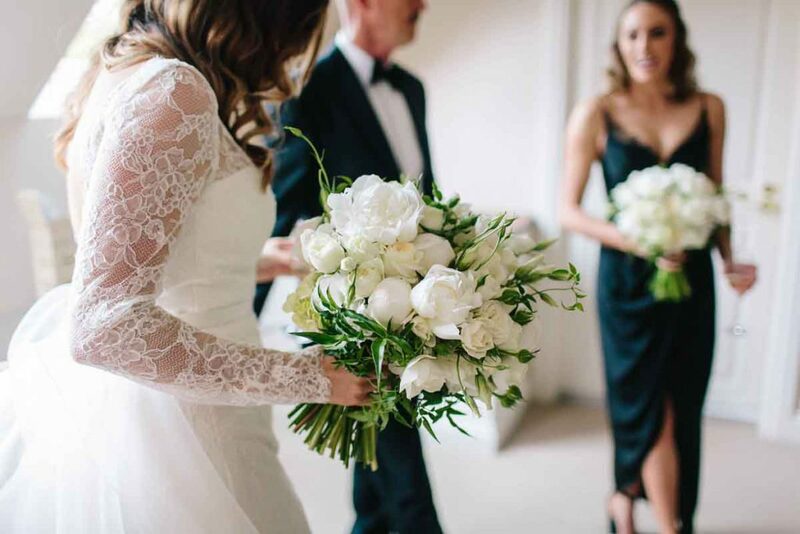 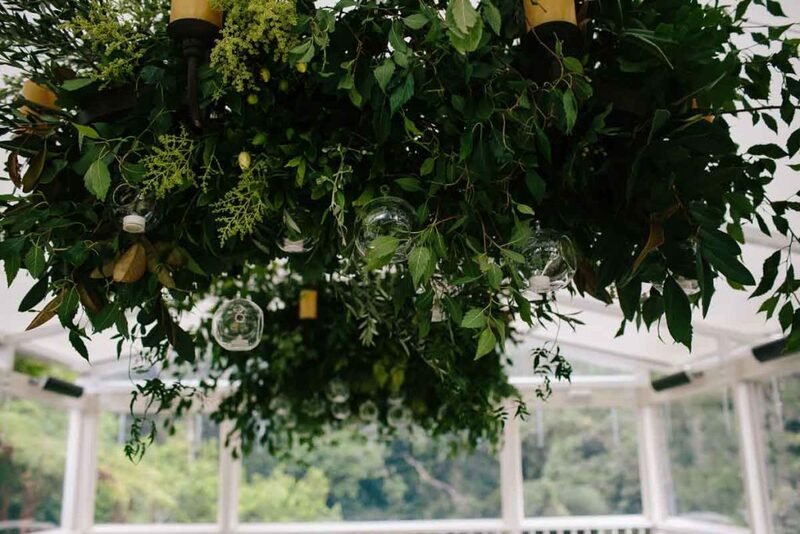 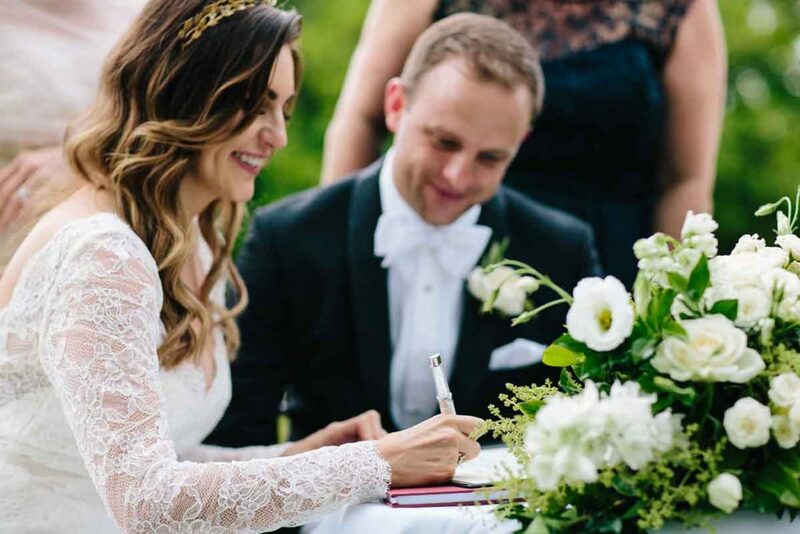 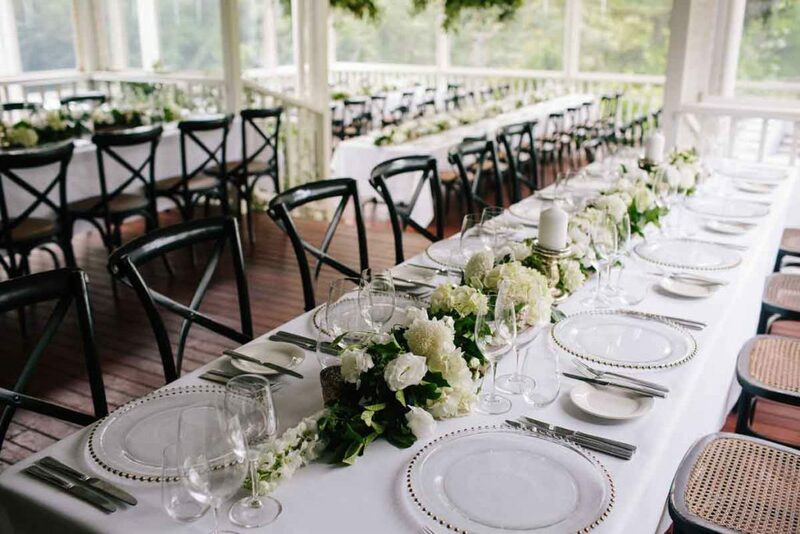 This Montville wedding in the Sunshine Coast Hinterland was truly magical in real life and were thrilled that we were the right fit for Chloe and Ollie to create such stunning wedding florals for their wedding day. 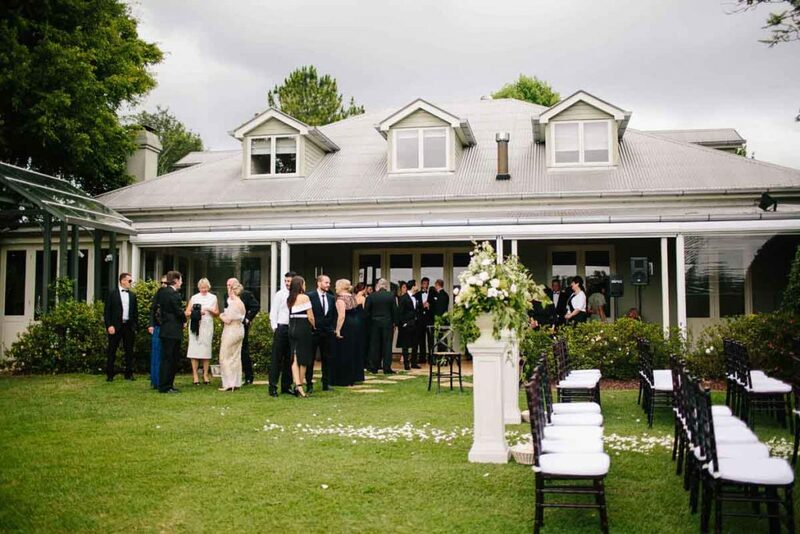 Photography by: Prue Franzmann Photography.